Watch these Isle of Wight prison officers pull off several great moves as they perform this dance routine at the charity fundraiser for colleague Ben Rothwell, diagnosed with Motor Neurone Disease. 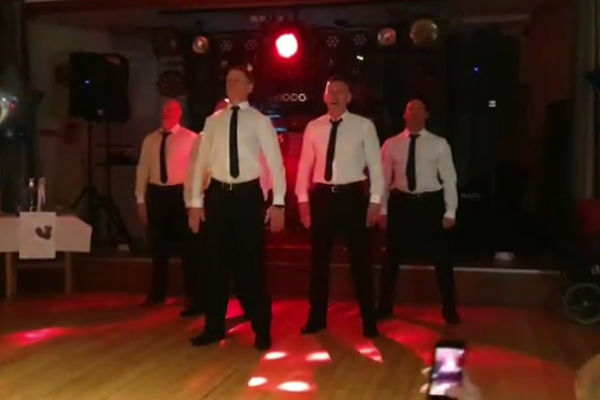 Three cheers to the five prison officers from HMP Isle of Wight who last weekend put on a fantastic dance routine for everyone at the Ben Rothwell Motor Neurone Disease Charity Event. 46-year-old Ben, a fellow prison officer, was diagnosed last year with Motor Neurone Disease and the event that took place last weekend aimed to raise awareness of the condition and to raise cash for home improvements. 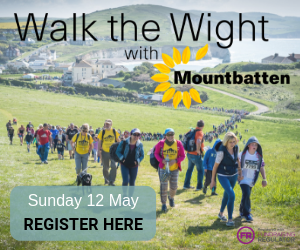 Ben is no longer working and is getting a lot of support from Mountbatten, but his colleagues wanted to do something to help, so Amanda and Gary Sandison came up with the idea of the fundraiser . If you want to show your support, you can make a donation via Just Giving. In the meantime, check out the dance moves in this video below, from Riverdance to Beyonce, the chaps do a fantastic job of entertaining all. 1 Comment on "Watch Isle of Wight Prison Officers: Perform from Riverdance to Beyonce for MND charity event"
Well done to these chaps. It would have been so much more enjoyable to watch without that ghastly shrieking from the audience.